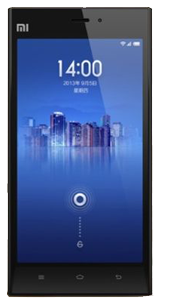 Xiaomi Mi3 is the fastest smartphone by Chinese company Xiaomi which highlights a spectacular hardware especially for its price, much more affordable than its competitors’ smartphones. Qualcomm Snapdragon 800 quad-core 2.3 GHz or NVIDIA Tegra 4 quad-core A15 1.8GHz (depending on model). Snapdragon is the platform for smartphones, tablet and smartbook devices created by mobile technology company Qualcomm. The 2.3 GHz/1.8 GHz represent a high amplitude wave, while the four processor cores are reflected in the ability of processes that can perform in a given time. It means that it makes four times more processes than a single-core processor, this is called MIPS (Million Instructions Per Second). It’s a breakthrough, even though there are already eight cores processors, this indicates that it’s a very powerful smartphone. IPS LCD 5.0 inch Full HD 1920 × 1080 pixels with a resolution of 1080p. It’s the first time that Xiaomi overcomes the barrier of 5 inches. 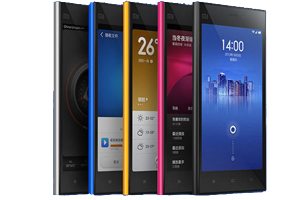 Xiaomi MI3 is a phone with a big screen, in the middle of most of its rivals and with a high definition resolution. 16 GB or 64 GB, not expandable up with MicroSD card. In RAM are loaded all the instructions that processor executes, so the more GB you have the better. In this case RAM of Xiaomi MI3 is within the average, so it’s acceptable to the user experience. It features 13 megapixel rear camera with Sony Exmor RS sensor. The Xiaomi MI3 only has rear camera with Sony Exmor RS sensor, LEDflash for low-light environments and autofocus. 3G, NFC, Wi-Fi 802.11 b/g/n dual band, Bluetooth 4.0, WCDMA 850/900/1900/2100MHz, built-in GPS with Glonass, A-GPS and place for a micro-SIM card. In addition to these features, new Sony Xperia Z2 has a 114 × 72 × 8.1 size; no excessive weight relative to similar competitive models (145g); has a non-removable 3050mAh battery and features the Google Android OS 4.3 Jelly Bean – MIUI 4.2.7. In short, Xiaomi MI3 is the flagship model of the Chinese company and within its range it has a fairly low price, so it’s highly recommended for anyone who is looking for a smartphone of its kind. Usually, Xiaomi are already rooted from the top, so the process would be to activate it. Click Security Center, on the desktop of your smartphone. In Security Center, click the Permissions icon. Enables administrator rights selecting first ROOT and then where it says Enable administrator permissions. Download any application requiring root activation and accept that ROOT permissions, so you can check it out. Check if your Xiaomi MI3 is rooted correctly using our app “How to ROOT”.